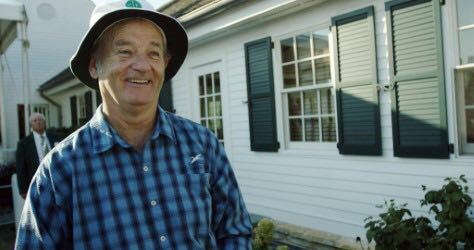 Gravitas Ventures, a Red Arrow Studios company, has acquired worldwide rights, to LOOPERS: THE CADDIE’S LONG WALK, narrated by Bill Murray and directed by Jason Baffa. The film will be available in theaters June 7th. Centuries old and enjoyed by tens of millions of people worldwide, golf is seen by many as more than a sport. Yet what do we know about the other person on the course? The man or woman behind the player carrying the bag. In a narrative never before covered in any feature length documentary, LOOPERS: THE CADDIE’S LONG WALK explores the incredible personal bond that a golfer and a caddie develop through hours of time together. Loopers made its film festival premiere on Feb. 2 at the Santa Barbara International Film Festival and also successfully showed at the Boulder (CO) International Film Festival in March. Upcoming film festivals include Cleveland (April 3); Newport Beach, CA (April 25-May 2); Greenwich, CT (May 29 opening night film); and the international premiere in mid-June. “This weaves history with personality in telling a handful of specifically amazing golfer-caddie pairings, and is great even for those who hate golf.” – Santa Barbara Independent (January 30, 2019). “I’ve only played a handful of rounds of golf in my life, and I don’t particularly care about the sport. Still, I found ‘Loopers: The Caddie’s Long Walk’ compelling. Any time you get somebody talking about their life’s work you’re probably going to get some good stories.” – Filmthreat.com (February 15, 2019). “Loopers charts the history of golf from its origins in Scotland to modern times. Traditionally, the caddie’s mantra was to ‘show up, keep up and shut up.’ They were banned from the clubhouse and treated poorly. However, they became an important part of the sport, acting as the player’s technical adviser, psychologist and confidant.” – Sunday Times, Ireland (February 2, 2019). 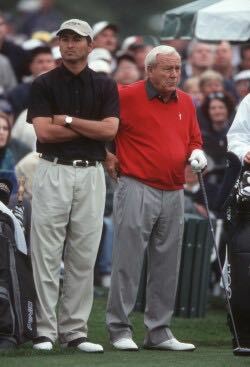 The film includes interviews with World Golf Hall of Famers Sir Nick Faldo, Tom Watson, Ben Crenshaw, Lee Trevino, Curtis Strange and former Masters Tournament and U.S. Open champion Fuzzy Zoeller. Professional caddies who participated include Steve Williams (Tiger Woods’ former caddie), Carl Jackson (Crenshaw), Fanny Sunesson (Faldo), Pete Bender (Greg Norman and others), Michael Greller (Jordan Spieth) and Jariah “Jerry” Beard (Zoeller at the 1979 Masters). Longtime golf journalists Rick Reilly, Michael Collins and Ward Clayton are also interviewed. The unknown stories are revealed, such as Greg Puga, who grew up in East Los Angeles, went on to caddie at Los Angeles’ Bel-Air Country Club and qualified as an amateur to play in the Masters Tournament. Another is the compelling legacy of caddie master Mike Kiely, who has been the caddie organizer at historic Canterbury Golf Club in Cleveland for a half-century and guided many caddies toward successful lives. The Evans Scholars Foundation is also featured, highlighting the program which has given college scholarships to more than 10,000 caddies since 1930. To request a theatrical or non-theatrical screening or for more information about the documentary please visit: www.loopersmovie.com. Gravitas Ventures, a Red Arrow Studios company, is a leading all rights distributor of independent feature films and documentaries. Founded in 2006, Gravitas connects independent filmmakers and producers with distribution opportunities across the globe. Working with talented directors and producers, Gravitas Ventures has distributed thousands of films into over a hundred million homes in North America – or over one billion homes worldwide.